Moving to a new state is an adventure in itself. Whether you're moving from California to Washington or all the way to New York, the change is exciting and refreshing. 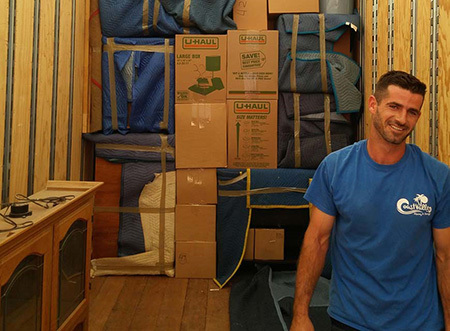 As one of southern California’s top interstate moving companies, Coast Valley Moving & Storage has all of the expertise and resources required for a streamlined moving experience. You can trust in our moving professionals to deliver a superior out-of-state move that goes above and beyond the standards of the industry. Coast Valley Moving & Storage is an agent of Wheaton World Wide Moving, meaning that our professional movers are part of a nationwide network of pros that are ready at a moment's notice to tend to your moving requirements. As one of the most respected van lines in the nation, our alliance with Wheaton gives us unfettered access to some of the most modern and high-quality moving equipment and technologies. No matter if you're moving a small or large household, we'll have the capabilities at hand for a streamlined long distance moving operation. For your upcoming interstate move, call Coast Valley Moving & Storage today to get in touch with one of our moving specialists. You can also fill out our online form to request you free, in-home consultation and moving estimate.